‘Sophie graduated from the Royal School of Needlework in 2008, having mastered more than 30 hand embroidery techniques including silk shading and goldwork. Sophie’s passion and undeniable talent for embroidery is displayed through her hand embroidery classes, extensive range of kits and original works. The culmination of Sophie’s hard work and desire came in 2011, when she was invited to be part of the team to work on Kate Middleton’s much publicised wedding dress. In 2014 Sophie had her first solo exhibition – It was a huge success, thank you to everyone that visted. In 2015 Sophie had a very busy year, split between teaching in a number of venues across the Uk and overseas. 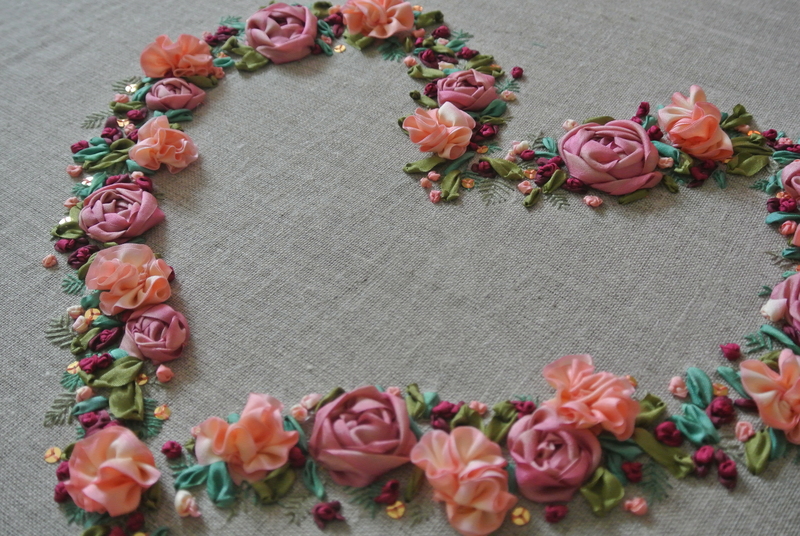 Sophie started a new book on Ribbon embroidery which will be completed in 2016. 2016 – Sophie is busy working away on the Ribbon embroidery book, stitching lots of new and exciting pieces, most of which are top secret at the moment. Sophie has lots of new classes and a few new kit design coming soon!